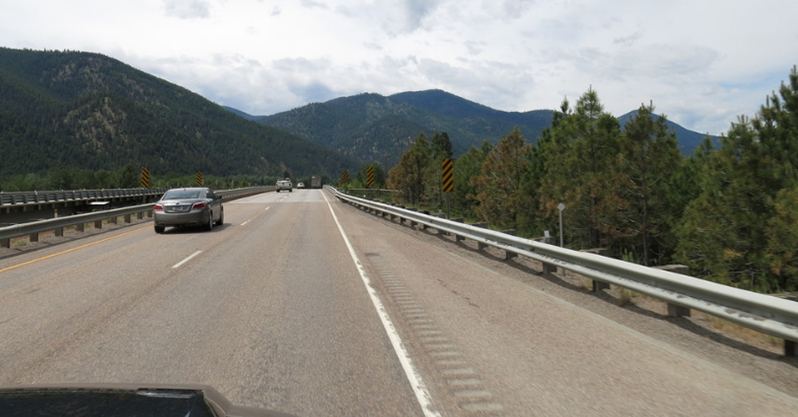 GPR Evaluation of 236 Bridge Decks Throughout Montana - Infrasense Inc.
Infrasense carried out high-speed GPR condition evaluations on 236 decks throughout the state of Montana. Of the 236 decks surveyed, 165 were selected for a Level 2 analysis, which involved detailed mapping of the concrete deterioration. 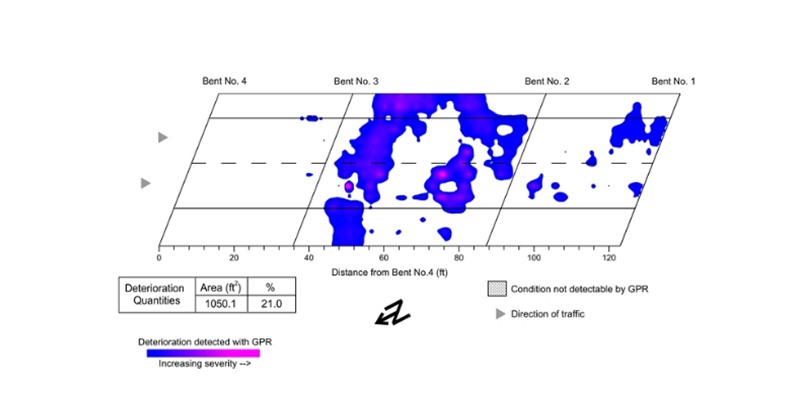 Additionally, rebar depth contour plots were created which facilitate more accurate deck repair volume calculations. Per the request of MDT, individual deck condition reports were provided for each bridge deck summarizing the GPR procedures and results. Results have been used by MDT to plan and program future maintenance and rehabilitation activity throughout the state. Approaching a bridge in Montana during high-speed GPR scanning. Sample bridge deck condition map provided to the Montana Department of Transportation. 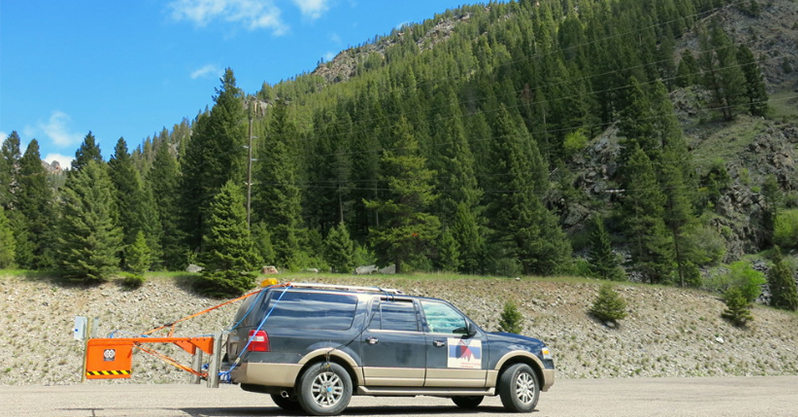 Infrasense's high-speed GPR setup in Montana.